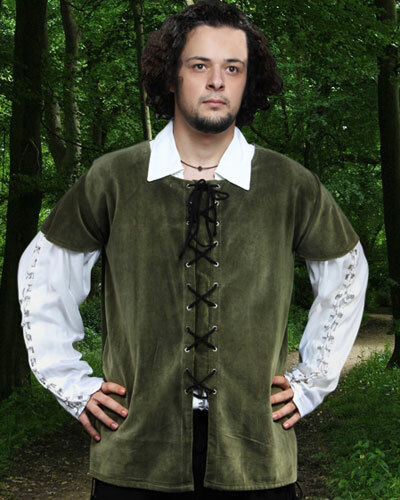 This Medieval Jerkin, made of a thick, rich cotton velvet has a front opening with eyelet and lace closing. 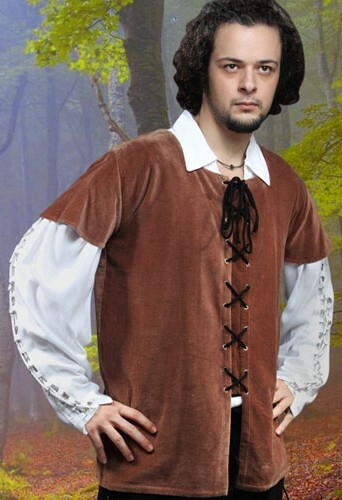 It looks great over a period shirt or tunic. 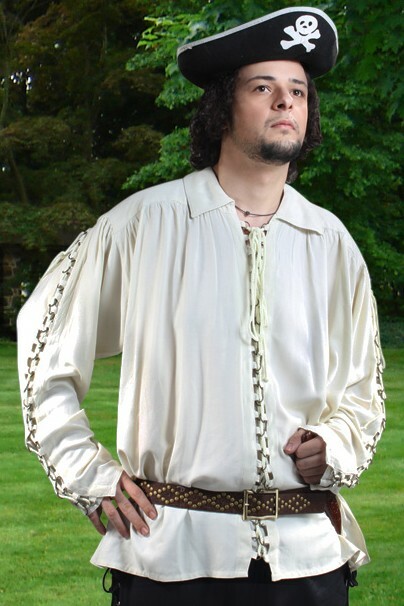 Shown here with our Medieval Metal Loop Shirt (sold separately). 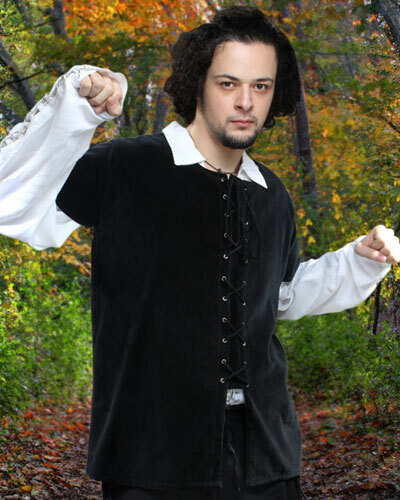 Sizes S/M to XXL (see size chart below). To order, choose size and color from the dropdown lists, then click "Add to Cart".